This article focus to Discuss on Soil Liquefaction Hazard Mitigation. 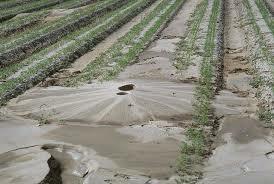 Soil liquefaction is usually a dangerous phenomenon that arises when saturated, sandy soil loses its stability in reaction to sudden stress, such being an earthquake. This causes the soil to work as a viscous liquid, just like quicksand. Soil liquefaction enhances your damage done by earthquakes as well as other natural disasters. Liquefied dirt cannot support buildings, so structures have a tendency to tilt, sink into the ground. Here also briefly discuss on Avoid vulnerable soils, Construct liquefaction-resistant structures and Upgrade the soil.